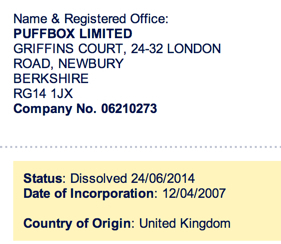 Puffbox.com – Important people used to read this blog on UK politics, government, and evolving digital policy. From the ‘tying up loose ends’ department… I mentioned a while back that the Australian government was procuring Drupal services for the development of a government-wide (and non-mandatory) content management system. The winning bidder was announced last week. And guess who it was? Acquia. Would you believe it? Contract details will be published online within 6 weeks, if you’re curious. The platform will be ‘broadly available to Commonwealth Government entities from February 2015’. If you really want to watch the Alex Salmond vs Alastair Darling TV debate on Scottish independence this evening, and you’re outside Scotland, and you’re determined to watch it on a large screen, but your broadband isn’t up to watching it online, and you have a Sky Digital or Freesat satellite box… still with me? Then I have good news. Your satellite set-top box knows where you live, and uses this to show you ‘your’ local BBC and ITV region. All the regional signals are available to your box; but it just decides which ones to offer you up-front. You can, however, add other regions manually. You should now see a handful of channels, including (when I did it just now) several STV options. Select one of these, then save your changes. Now look for an ‘Other channels’ option: and you should now see STV listed. Frequency data courtesy of a516digital and Wikipedia. Buzzfeed listicles have no place on GOVUK. Do I really need to write that? Her Majesty’s Government has made occasional forays into the world of Buzzfeed. I thought the Foreign Office’s use of the platform to rebut claims by Russia Today was quite amusing, and entirely appropriate. A very serious message presented in an ultra digestible format. Earlier this week, someone in UK central government (the Treasury?) put together a list of 12 things you could buy with the £1,400 that Scottish people are better off per capita by remaining in the UK… and posted it on Buzzfeed. Complete with photos of Lego scenes. Now I have to say, I don’t feel at all comfortable with Whitehall, the Civil Service, the organs of state taking a position on the Scottish referendum like this. I agree entirely with the assertion (posted on a gov.uk explanatory page) that ‘there is a demand for the provision of information which will enable voters to come to an informed decision’. If the conclusion arising from unbiased consideration is clearly in one direction rather than the other, they should say that. But they should do so whilst standing clearly outside the fray. If the Yes campaign wins, Whitehall needs to negotiate a smooth exit from the Union, having been an active combatant on the opposite side. It means they would enter any such negotiations at an immediate and irretrievable disadvantage. If they are going to take a stance, and campaign actively in its favour, they might as well articulate their conclusions in a digestible format (listicle), and post it in an appropriate place (Buzzfeed). Yes, it might create a few ripples in the Scottish media – and indeed it has: they probably wanted that anyway. But it’s easy to shrug off. Sure, it’s Buzzfeed. What do you expect? But I think it’s a huge mistake to bring that into the universally acclaimed gov.uk site, as they have now done. Steph Gray describes it beautifully in a post on his Postbureaucrat blog. Library content answers questions… It has credibility, and a certain longevity, if maintained appropriately. These days, GOV.UK is the natural home for most library content in central government. Café content is what you create to get people talking. (It) needs to exist in the context of a solid strategy, and often will point people to your library content where they can find out more, sign up for something, join a campaign or give you their feedback. Keep the library and the cafe distinct spaces, and find out how best to make them work together. He also points to the deeply troubling ‘imaginable situation’ of the civil service being instructed to campaign for exit from the EU. And I now wish he hadn’t. Sadly Francis apparently missed the opportunity to mention this when, earlier today, he stood up on a stage to launch the 55-strong Computer Emergency Response Team UK (CERT-UK). New organisation… guess what? New website. I only take some modest consolation from the fact that it’s running on WordPress… WP Engine, in fact, as demonstrated by the fact you can access the site via certuklive.wpengine.com. If that’s true – why does it say ‘Built by Surevine’ in the footer of every page on that website, not to mention the theme’s stylesheet? Why would GDS help prolong its boss’s rat-splatting nightmare? Surevine, meanwhile, are keen to tell you about their participation in Open Source – ‘it’s core to what we do,’ they say. But their claim to being ‘active’ in the WordPress community is something of a stretch – given that their sole contribution appears to be a single plugin connecting to their own node.js web service, posted not in the official repo but on Github. It’s being watched by a total of 14 people, the overwhelming majority of whom are Surevine staff. There are plenty of other nits I could pick. But what’s the point? The site will be shut down in 276 days tops. Won’t it? 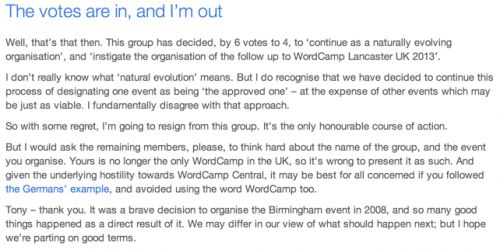 Last night I resigned from WPUK, the coordinating body which emerged from the organisation of the first few UK WordCamps. In 2008, I felt genuine excitement at the thought that the UK WordPress community had grown big enough to justify its own WordCamp; and I think it was right to focus the community’s collective efforts on a single national event through those first few years. I put my money where my mouth was, too: initially as Puffbox Ltd, then as Code For The People, I have been a corporate sponsor of every WordCamp UK. I continued to defend the ‘one national WordCamp’ position, in the face of opposition from some of my best friends in this business. It was the right thing to do, I argued, until somebody proved it was wrong – by successfully organising another UK event. In November 2013, I was one of the group which proved it was wrong, by successfully organising WordCamp London. Do you agree that WPUK continues as a naturally evolving organisation, and that WPUK instigates as soon as possible the organisation of the follow up to WordCamp Lancaster UK 2013, to take place on 12-13 July 2014 at a venue to be decided? For a year or more, I’d been trying to get the group to reconsider its purpose. Numerous times I’d tried – and failed – to start a constructive debate about the group’s purpose. More often than not, the debate turned startlingly hostile and viciously personal. I couldn’t wait to get out; but I hoped the successful running of a London WordCamp would prove that WPUK had run its course. The calling of this vote forced my hand somewhat. It wasn’t especially well worded – but it did get to the heart of the matter. Did WPUK exist to designate a single event as being the one officially sanctioned WP event for the UK in 2014? To run an Olympic-style bidding process among candidate cities, as it had done in previous years (with, to be blunt, variable levels of success)? Calling the vote came as a surprise. 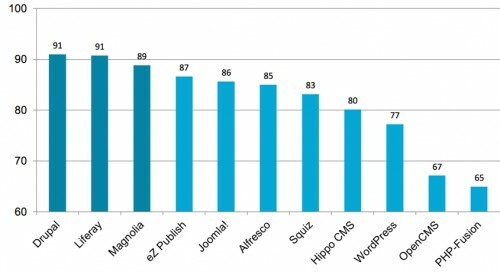 The fact that the group voted 6-4 in favour, even after the success of WordCamp London, was a genuine shock. The group has decided that a bidding process, in which one event ‘wins’ and the others – no matter how viable in their own right – ‘lose’, is still the right way to go. I could not disagree more strongly. I believe that it’s now actively harmful to the development of sustainable ecosystems around the country. And I believe that it flies in the face of all available evidence. So I did the only honourable thing, and resigned my position immediately. And as I’ve been writing this post, Siobhan McKeown has followed suit. I believe at least one other will be doing likewise, if he hasn’t already done so. Those with the closest ties to the WordPress project are leaving the group. Make of that what you will. I really hope things don’t now turn nasty. Past evidence suggests they might. Puffbox emerges briefly from retirement to bring you an extract from Computer Weekly’s write-up of a somewhat confrontational appearance by Work and Pensions Secretary Iain Duncan Smith and DWP officials before the Commons Work And Pensions Committee, and a reported £40m write-off of IT work. The Cluetrain Manifesto was published in 2000, followed in 2001 by the Agile Manifesto for software development. In 2004, the Office of Government Commerce said open source was ‘a viable and credible alternative to proprietary software’. In October 2008, Amazon EC2 came out of beta after two years of successful operation. In 2009 there was a UK government policy statement which, I felt, explicitly tipped the scales in favour of open source. In early 2010 that policy was further beefed up, requiring suppliers to show they had given ‘fair consideration of open source solutions’ – and if they hadn’t, they faced being ‘automatically delisted from the procurement’. 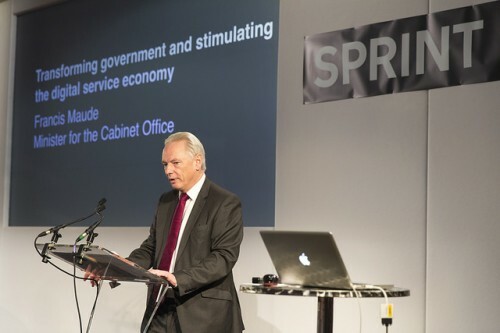 In July 2010, following the general election, the Cabinet Office specifically acknowledged that ‘open source software offers government the opportunity of lower procurement prices, increased interoperability and easier integration’. Mr Shiplee is the director general of a project designated as one of the government’s 25 exemplars of digital transformation. His background, though, is in development of a more concrete kind: he was director of construction for the London Olympics. It’s unfair to expect him to be an expert in government technology policy. But one is left wondering how he was briefed. No matter what you may have been encouraged to believe, there was life before the creation of the Government Digital Service.